Are you looking for an excellent pickup truck that's comfy to drive in? 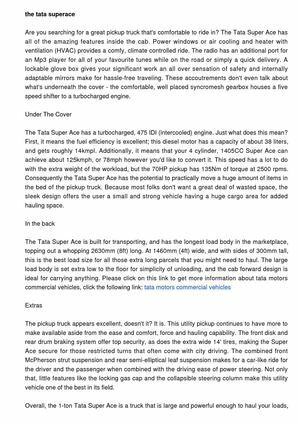 The Tata Super Ace has most of the features in the cab. Power windows or air cooling and heater with ventilation (HVAC) offers a comfy, climate controlled journey.